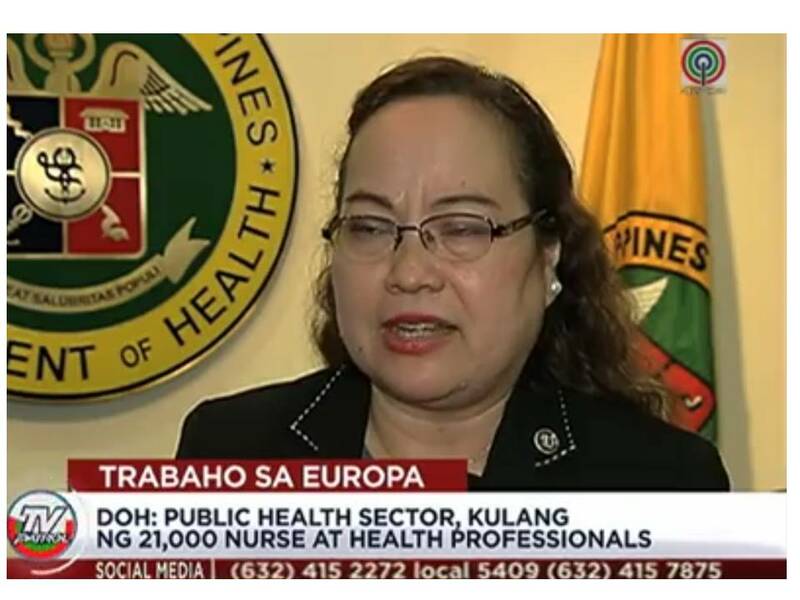 The Department of Labor And Employment announced that Europe is in need of 22,000 nurses of all these position are reserved for Filipinos. 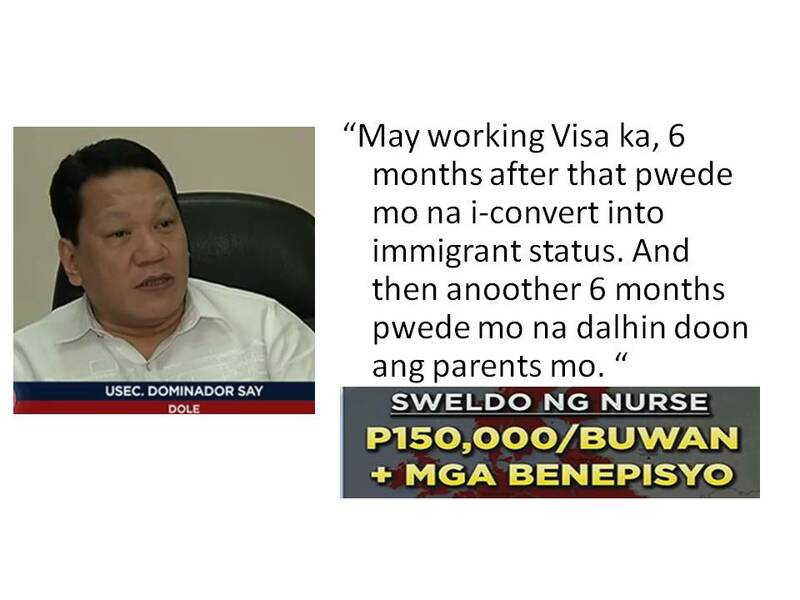 According to Labor Undersecretary Dominador Say, based on his meeting with the European recruiters, the minimum salary offered for Filipino nurses will be Php 150,000 with benefits. 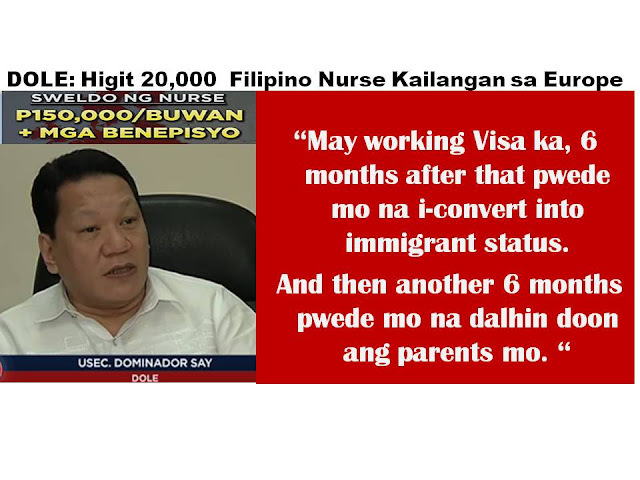 He also said, that Filipino nurses will have 6 months working visa, which can be converted to immigrant status after 6 months, thereafter the immigrant nurse can bring his or her family after another 6 months. The recruiters require that applicants must be licensed nurse and can speak German language. 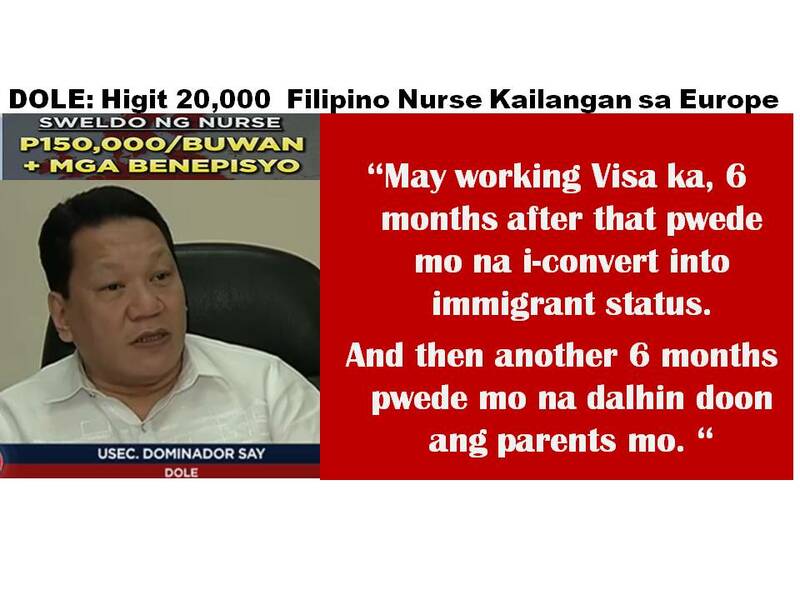 DOLE is also encouraging those who plan to work overseas to be careful and vigilant with illegal recruiters. 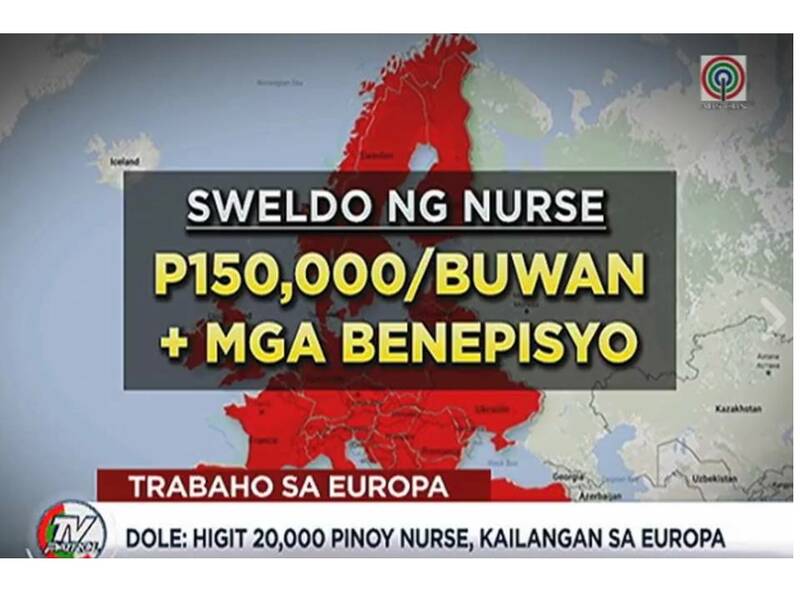 Applicants may check POEA for the TripleWin project or recruitment of nurses for Germany or may verify from POEA website the list of job orders for nurses in any of the European countries.